View my account & renew material? Request items from another library? Use a computer, print and copy, or send a fax? Reserve a meeting room or the Community Center? Find a proctor for my exam? Find something good to read? 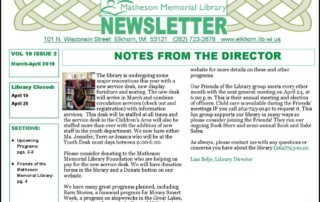 HELP US FINISH OUR LIBRARY MAKEOVER! Library Closed- Fridays, April 19th and 26th. The library will be closed on Friday, April 19th for the Easter holiday, and on Friday, April 26th for our annual staff development day. Sorry for the inconvenience; we'll be open our regular hours on Saturday. Monday, April 22nd at 6:30pm. Professional cheesemaker Mark Lyons will show you how to get started in making your own delicious cheese from home. 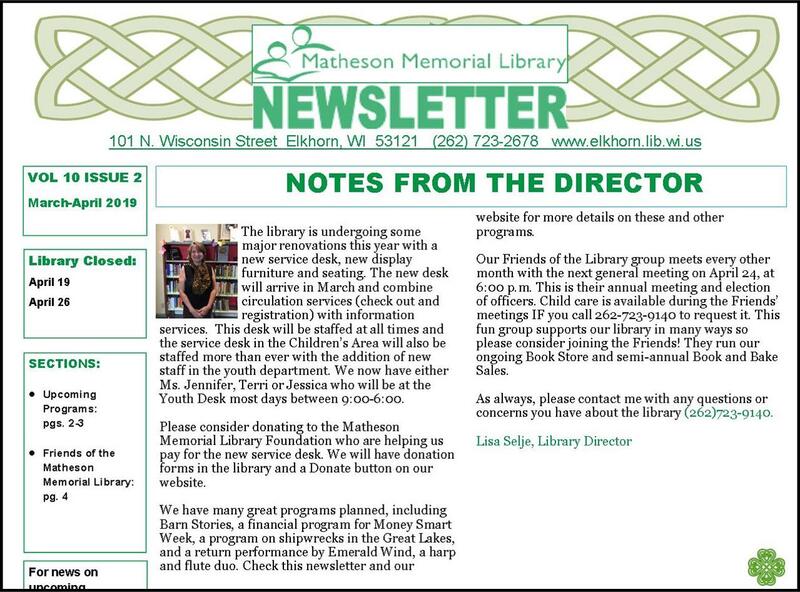 The March/April Library Newsletter is NOW Available! By admin|2019-02-28T14:35:27-06:00February 28th, 2019|Categories: Home|Comments Off on The March/April Library Newsletter is NOW Available!